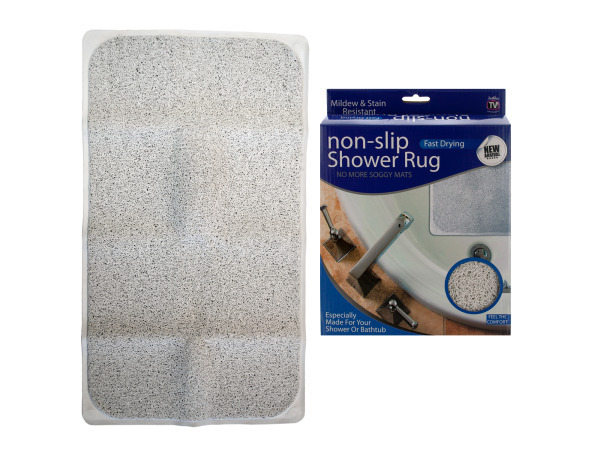 Avoid soggy mats and wet floors with this fast drying and comfortable non-slip bathroom rug made of super soft fibers that feel great, are easy to clean and are mildew and stain resistant. 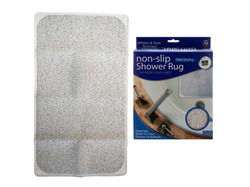 Four suction cups ensure that the rug stays securely in place. Measures approximately 29" x 17". Comes packaged in a hanging box. Box measures approximately 8.125" x 2.75" x 9.125".